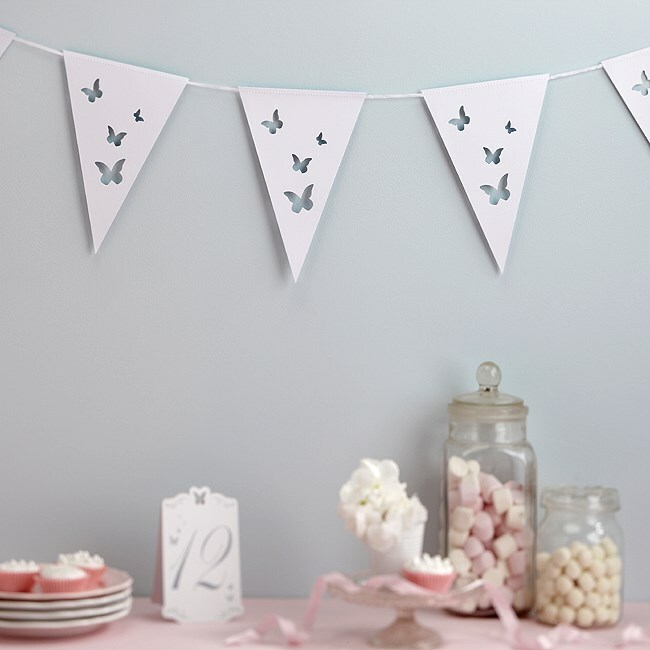 Butterflies are a fantastic theme for your wedding and this pretty bunting is a beautiful way to add romance to your wedding venue. 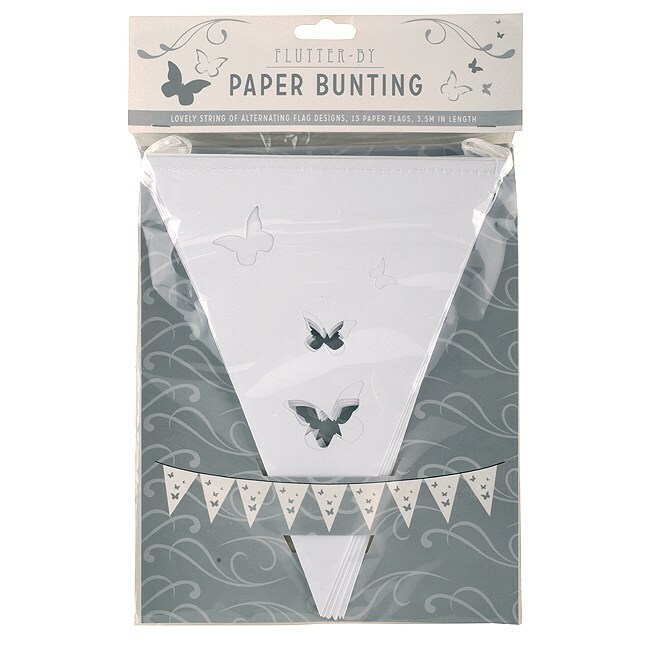 A string of beautiful white card butterfly bunting, the triangular bunting has butterflies cut out of the card. The butterfly bunting is 3.5 metres long and each flag measures 17.5cm w x 22.8cm h.